Jukka-Pekka Saraste (b. 1956) has established himself as one of the exceptional conductors of his generation, demonstrating considerable musical depth and integrity. 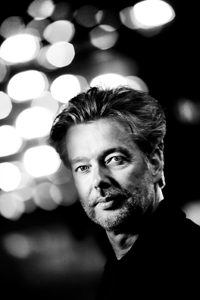 He has been music director of the Oslo Philharmonic Orchestra since the 2006/07 season. He previously held positions as music director of the Finnish Radio Symphony Orchestra (1987-2001) and the Toronto Symphony Orchestra (1994-2001). From 2002 to 2005 he was principal guest conductor of the BBC Symphony Orchestra. For the Finnish Chamber Orchestra he founded the Tammisaari Festival. Guest conductor engagements have included the Filarmonica della Scala in Milan, the Philharmonia Orchestra in London, the London Philharmonic, the Bavarian Radio Symphony Orchestra, the Royal Concertgebouworkest Amsterdam, the Chicago Symphony, the Boston Symphony and the Orchestre National de France. A strong champion of new music, Saraste has a long association with Finnish composers Saariaho, Lindberg and Salonen, and his visit to the Proms in 2000 with the BBC Symphony Orchestra included the UK première of Berio's Trombone Concerto 'Solo'. He gave the Canadian première of Henze's Symphony No. 8 in his final season as Music Director of the Toronto Symphony Orchestra in 2001. As Music Director of the Finnish Radio Symphony Orchestra for fourteen years, he created an orchestra much admired by audiences and critics in Finland and abroad. They have toured extensively together, including major festivals such as the Edinburgh International Festival and the BBC Proms.